This involves a move, in many industries, towards digital investments that can deliver tangible business value. One technology approach that fits into the “pragmatic” category is Robotic Process Automation (RPA) – provided it’s deployed to run the right types of tasks, as part of a sound business optimisation strategy. When used in tandem with other process re-engineering efforts, RPA can yield significant benefits. As a real-world example of what RPA can achieve, this video showcases a human worker and then an RPA software bot completing the same task. The demo exhibits a simple and straightforward example that showcases how UiPath RPA tools can deliver a rapid return on your investment. The demo focuses on a highly-definable process – a customer address detail change that uses Microsoft Outlook and a client’s customer portal – the 30-minute video demonstrates the benefits of delegating rote, manual tasks to a bot. 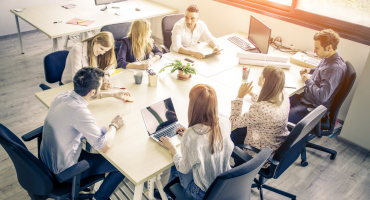 What does the introduction of RPA mean for your employees? 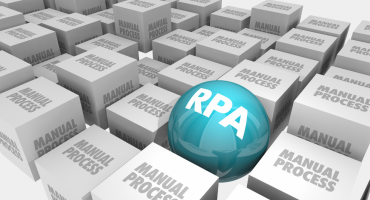 RPA tools can manage certain tasks with greater speed and accuracy than any human. This creates a sound business case for reducing labour costs. And once the RPA solution has been tested and deployed, it can be scaled up or down to create an agile digital labour pool. This could be ideal for companies that have to accommodate seasonal spikes in demand, for example. However, this doesn’t necessarily mean that the humans who were responsible for these routine tasks should lose their jobs. Rather, RPA solutions can be harnessed to free human employees from time-consuming work that’s easily automated. This allows skilled people to focus on being more productive in other areas of their roles. With bots handling the easily definable, rule-based processes at high volume, humans can focus on the tasks that require professional judgement, strategic thought, creative approaches or warmth and interpersonal skills. A bot could, for example, route exception handling to a human worker to manage. When you think about it this way, you may well see the value in deploying RPA as part of a broader business optimisation strategy. With this approach, you can reduce error-prone and costly manual work, accelerate productivity and gain maximum value from both your RPA technology investment and your human capital. When they’re applied strategically, bots can add immediate value – from speeding up processes and shrinking costs, to reducing risk and ensuring compliance with strict data regulations. Achieving these types of benefits really does not need to be a time-consuming or costly exercise. At Velocity IT, we believe in starting small to deliver rapid ROI. From there, these solutions can be scaled as required. Your bots can be configured to use your existing business tools. 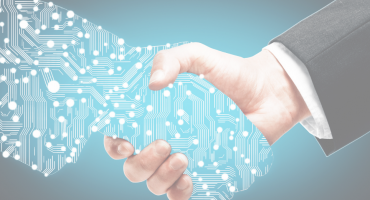 We can help you to introduce RPA solutions with minimal disruption to your existing processes or underlying systems. This way, you’re focusing your budget and time on digital investments that translate into clear efficiency and productivity gains. Get started with RPA, sign up for a FREE RPA demo today.